One of our last jobs of the year is this re-ridge in the heart of Rutland in a village called Lyddington. 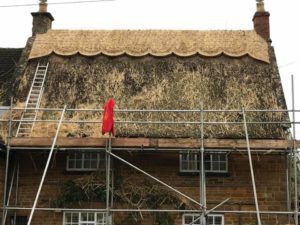 With the rush of Christmas across this festive season, we understand more than anyone the urgency of thatch repairs and re-ridges with the weather deteriorating. 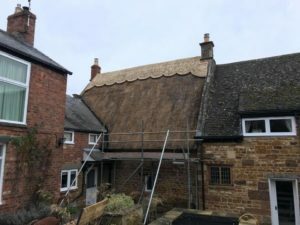 If a thatched roof is damaged it can decline pretty quickly so the sooner you spot it or can book a repair the better. 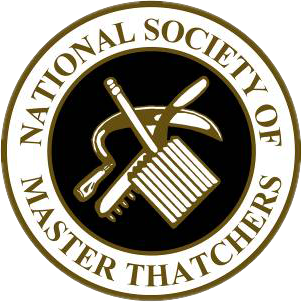 A damaged or old ridge will need re-doing to prevent further damage to the roof. The lovely village of Lyddington near Uppingham is actually the village where I worked on my first roof a very long time ago. We have a few bits and bobs to finish tomorrow morning then we are finished for Christmas. 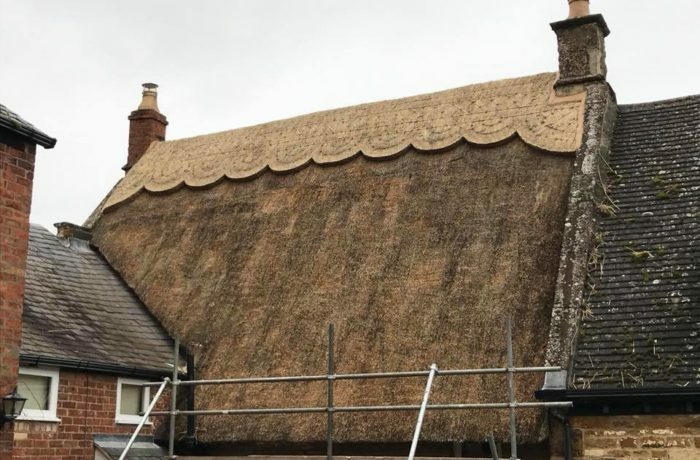 For more information on thatched ridges and re-ridging visit our dedicated page or to book repairs contact us today.